Sensational, articulated, latex plug, excellent for Pike, Zander, Perch and Sea Bass. 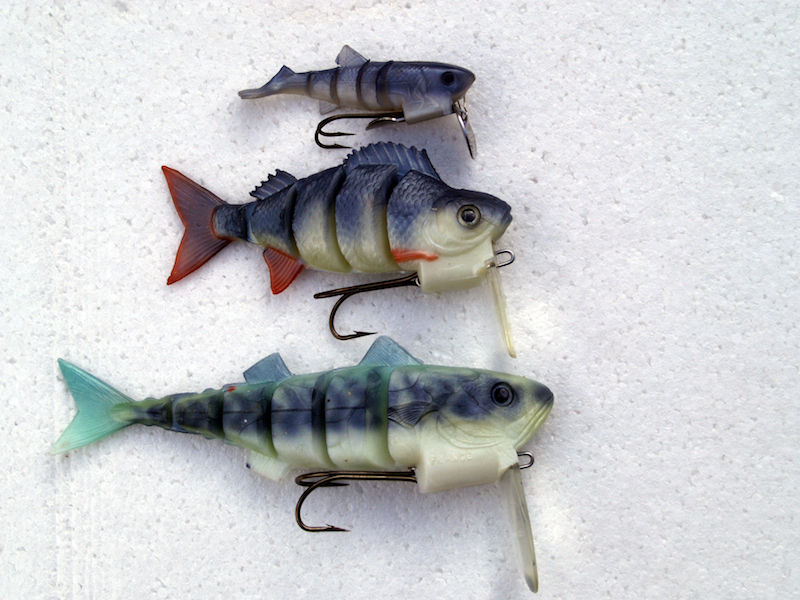 These baits are the original “first” segmented swimbait. It was designed and patented in the early to mid sixties making it a little over 50 years old. It was originally made by a small family firm in South eastern France along with several other segmented body lures and a few spinners. The company was acquired by Delalande in the late 1990’s who continued manufacturing the lure until 2010. As far as we understand we have all the available remaining stock in the world. This lure has an absolutely fantastic sinuous action in the water and is an outstanding fish catcher. It is what is known as a “countdown” which means it doesn’t dive by use of the diving bill, you count it down at roughly one foot per second to the depth you want to fish then retrieve slowly with the rod tip down and hang on for explosive takes. This lure couldn’t be simpler to use, simply chuck and wind.